The Norcross Quarry stands 950 feet above Windsor village, a little over a mile east-southeast of Brownsville, in Windsor. 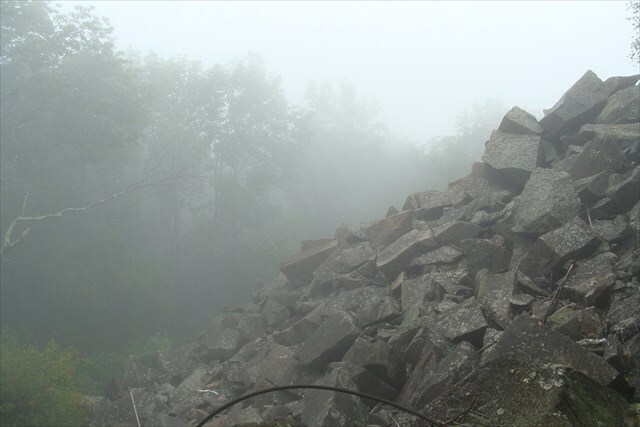 This quarry is found along the Brownsville Trail straddling the West Windsor/Windsor town line. The operating company of the Norcross Quarry was Norcross Bros. Co. of Worcester, Massachusetts. The quarry was abandoned by 1923. The quarry measured about 200 feet from east to west by 40 feet across. The quarry was approximately 60 feet high. The Norcross Bros. Co. transported the stone by cart to the rail at Windsor. The stone at Norcross Quarry was used for monumental and decorative purposes at the Columbia University Library in New York, a monument in Cuba, a die in the Bennington monument, columns in the Bank of Montreal, and the columns at the W.C.T.U fountain in Orange, Massachusetts. The tools used during the operation were: three derricks, a hoisting machine, and a steam drill. A boarding house was built for the quarrymen and a blacksmith shop with a barn and stable were located lower down the mountain. At one point there was a 1.1 mile access road to the Norcross Quarry. The road was built over extremely steep terrain using horse and ox power, black powder explosives, and pick axes and shovels. Sometimes called “Windsor granite” is a hornblende-augite granite which is a dark bluish-gray color when first quarried but after a little exposure becomes dark olive green. Its texture is medium to coarse, with feldspars up to .3 and .5 inch and black silicates to .2 inch. The olive green color which appears soon after exposure is due to the oxidization of extremely minute blackish granules of ferrous oxide in the feldspars and the combination of the yellowish-brown color from the limonite with the bluish-gray of the unaltered feldspar. 1. Granite is made of large mineral grains (which is where its name came from) that fit tightly together. 2. Granite always consists of the minerals quartz and feldspar, with or without a wide variety of other minerals (accessory minerals). The quartz and feldspar generally give granite a light color, ranging from pinkish to white. But that light background color is punctuated by the darker accessory minerals. Thus classic granite has a "salt-and-pepper" look. The most common accessory minerals are the black mica biotite and the black amphibole hornblende. 3. Almost all granite is igneous (it solidified from a fluid state-volcanic magma) and plutonic (it did so in a large, deeply buried body or pluton). The random arrangement of grains in granite—its lack of fabric—is evidence of its plutonic origin. Rock with the same composition as granite can form through long and intense metamorphism of sedimentary rocks. But that kind of rock has a strong fabric and is usually called granite gneiss. Head NW on 44A 1.2 miles from US 5 in Ascutney. Look for a hand painted sign on the left which says 'Brownsville Trail parking', across from a red house. Follow the Brownsville Trail until you get to the posted coordinates. From the road (0.0 miles), the white-blazed Brownsville Trail follows the fence around the northwest corner of the field, turns uphill along a brook, and climbs steeply into the woods. At 0.2 miles, the trail turns right onto the old Norcross Quarry Road and begins slabbing the hillside. At 1.1 miles, reach Norcross Quarry. At 1.3 miles, past the quarry, the trail turns sharply left and climbs among ledges to where a side trail leads left to Quarry Top Lookout. To claim this cache as a FIND you must answer the following questions via an email to me through my profile. Logs will be deleted if an email is not received within 3 days of logging your find. 1. What is one of the pieces of equipment that was used in the quarry that remains today? 2. What geometric shape is the granite stone? This shape is common due to this type of granite being so hard. More information about the Norcross Quarry can be found in the land management plan for Mt. 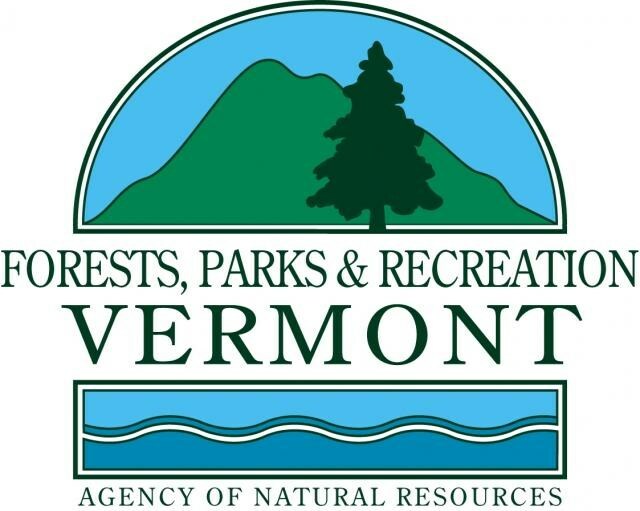 Ascutney State Park available in the Springfield FP&R Office.